Sink holes are our specialty here at C&M Residential, but we realize that many homeowners don’t even know what a sink hole is, what to look for to figure out if they might have a sink hole, or who to call to diagnose and fix their potential sink hole problem. You will find the answers to all of those questions and more here and in our future blogs. First, let us clear up a slight misconception, if you will. 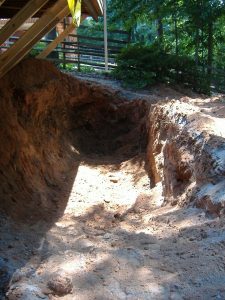 While we call them ‘sink holes‘ and that is what they are known as here in Atlanta, GA, technically our version of a ‘sink hole’ is truly just a burial pit. For years, contractors would simply dig a large hole in the back of their construction site and throw all of their unwanted or scrap materials into the hole. This meant everything from tires, trees, bushes, shrubs, logs, and much more. How Did a Sink Hole Get in My Back Yard? If you live in a neighborhood that was developed and built between 1975 and 1991, you probably have a sink hole. It was just common practice during that time to dig the burial pits and cover up all of the construction trash rather than hauling it away and having to pay to have it disposed of. If your neighborhood was developed more recently, you have less of a chance of having a sink hole, though we cannot promise that you are 100% worry free. We have worked on a particular case where we had to dig below the foundation of the house and found where a previous neighborhood developer had created a sink hole that had then been covered up by volumes of dirt. It didn’t matter how deep the sink hole was, it still caused a problem for the home owner. How are Sink Holes Found? If your house was built during the aforementioned period, and there is an area of your yard or home that is sinking – you probably have a sink hole. This can be confirmed with a soil probe and the detection of half deteriorated, half intact debris. We never know the extent of a sink hole until we start digging, so it is very difficult to give an estimate on the job. 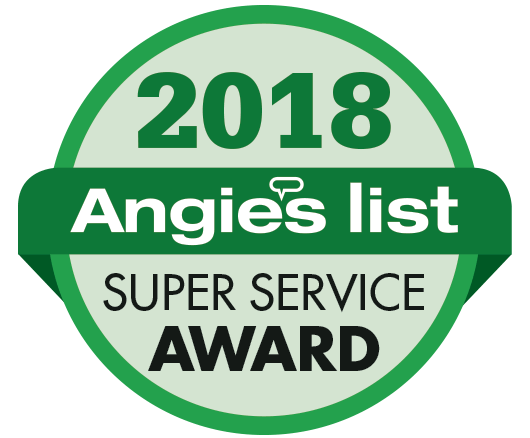 But, when you call C&M Residential, you can be rest assured that once we tackle your Marietta, GA sink hole, you will never have to worry about it again.